If a home has been vacant for quite some time and the electricity has been turned off, you’ll need to have a whole home electrical inspection before any power can be turned back on. That’s where Philip M. Brunelli Jr. Electrician comes to the rescue! 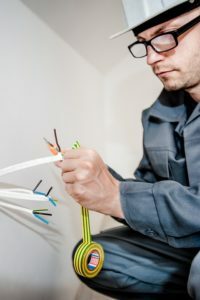 We’ll perform a comprehensive and professional whole house electrical inspection to make sure that the wiring is in compliance with current electrical codes. In the inspection, we’ll look for broken panels, missing breakers, defects/cuts/cracking on insulation, proper color coding of wiring, water damage, inspect the grounding system and clearances, and take electrical readings.